Not all home inspectors have identical industry knowledge. Credentials and licensing may vary depending on which state you live in, but the recommended tools, moisture meters, supplies, and standards of practice, will help clarify what a home inspector should look for during an inspection. Even though we have tried to provide detail, this article does not replace the knowledge required for certification from the American Society of Home Inspectors (ASHI) or the National Association of Home Inspectors (NAHI). A moisture meter provides you with an accurate way of determining if a moisture problem exists in a building. If a moisture-related problem is present, it can lead to expensive repairs. When a homeowner prepares to sell a house, the last thing they want is a home inspector inserting holes in walls, ceilings, and beautiful oak floors with pins and probes to conduct moisture testing. 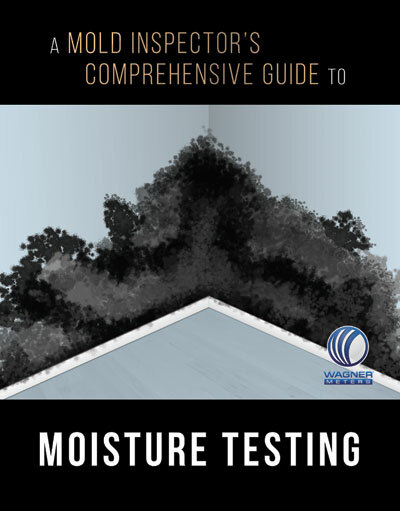 Moisture testing doesn’t need to be intrusive. 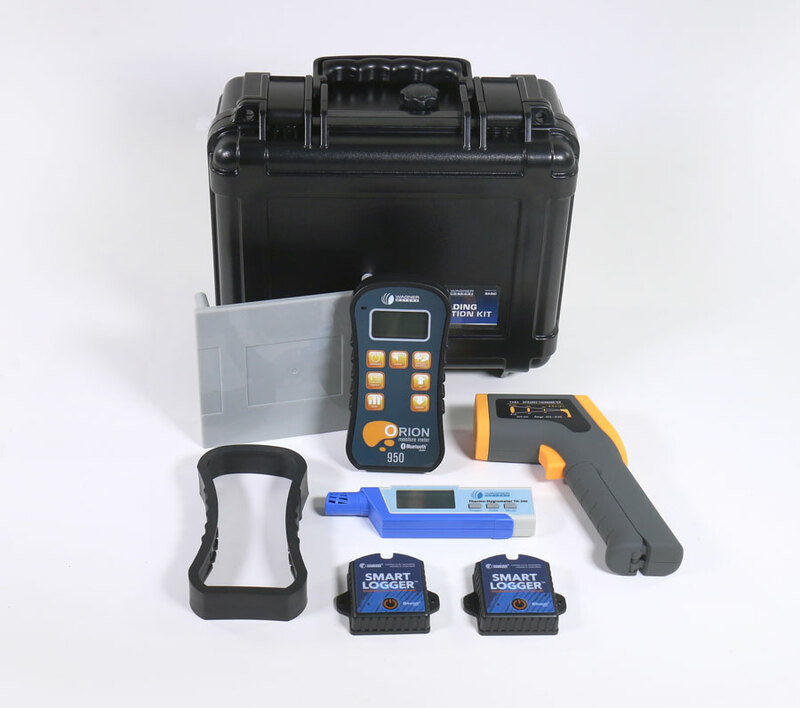 Non-intrusive moisture meters are available with scanning plates that don’t require probes or pins to be inserted into materials. Accurate moisture readings can be taken without damaging the surface of the materials being tested. Wagner Meters has been an industry leader for over 50 years, creating innovative top-of-the-line moisture measurement equipment. 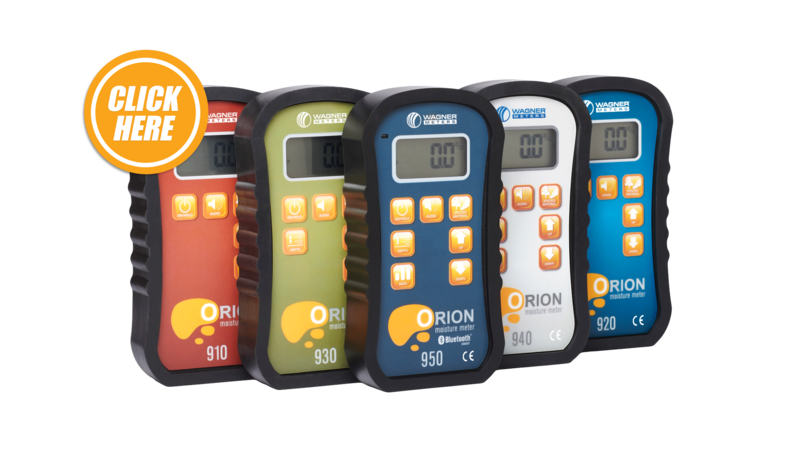 Wagner Meters’ Orion line of pinless moisture meters are non-invasive tools designed with home and building inspectors in mind. Ideal for those who need to be provided with comparative relative moisture content (MC) readings for a wide range of common building materials. 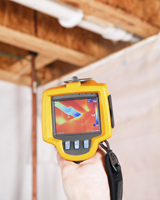 The readings obtained help identify and pinpoint potential problem areas in a home or building. MC readings can also be obtained when an inspector has to measure an area in a tight spot with the meter’s popular Press and Hold feature. The reading is displayed when the unit has been removed from the measured area. Inspectors should wear a respirator when they enter areas containing dangerous materials that may introduce particles into the air that are hazardous if inhaled. Dust masks do not provide adequate protection when hazardous particles are present. Respirators should be equipped to filter out elements that represent biological hazards such as viral, bacterial, and fungal organisms. Even though half-face and full-face models are uncomfortable, they are necessary. Electrical gloves typically consist of liner gloves worn under rubber insulating gloves with protective leather gloves worn on top. The International Association of Certified Home Inspectors (InterNACHI) recommends home inspectors wear electrical gloves that meet ASTM D 120/IEC903 specifications. Safety glasses provide protection for inspectors when they find their eyes or vision at risk. Crawl spaces and attics are areas of concern with protruding wires and fasteners. Electrical panels may also present a risk of sparks or debris. Coveralls and general-purpose construction gloves are recommended to protect a home inspector from potentially toxic fluids. It is also recommended that the inspector keeps an extra set of clothes in their vehicle along with a pair of overalls and gloves. High traction boots that have replaceable soles help prevent slipping and are recommended when inspectors are required to walk on and inspect roofs. Even though many lists are provided on the internet with protective tools that should be used by a home inspector, some of the best tools are the most obvious and overlooked. Our senses can provide invaluable information that can actually save lives. Nose: Your nose is very sensitive. It can instantly pick up the scent of gas, which could alert you to danger. Eyes: Your eyes can provide you with a quick snapshot of what lies ahead in your path in order to detect obvious structural defects. Ears: Ears can instantly pick up the sound of running water or even more seriously, the hiss of steam or potential toxic leaks. Hands and feet: We can detect a sudden change in temperature that isn’t normal, which will help alert us if further investigation is required. An infrared thermal imaging camera is recognized as being a true companion to a highly accurate multifunction moisture meter. These cameras create images using infrared radiation, similar to the way a conventional camera creates images using visible light. Different colors correspond to different temperatures so the inspector can identify areas that are abnormally hot or cold. The most efficient way to haul small tools to a job site is by using a utility vest or belt tool holder, leaving the inspectors’ hands completely free. Inspectors use a variety of electrical testers according to personal preference and budget. Obviously, expensive top-of-the-line testers will help identify a wider range of defects than less expensive testers. The most widely used electrical tester will disclose common defects. A button located on the unit will test ground fault circuit interrupter (GFCI) devices. Three colored lights on the device will show various defects. The basic unit will not test for defective arc-fault circuit interrupter (AFCI) devices that are often present in rooms in new homes. It will test 120-volt electrical receptacles, but will not test 240-volt receptacles. An AFCI/GFCI tester checks for proper operation of both arc-fault and ground-fault circuit interrupter devices and is commonly used by home inspectors. Another simple device worth mentioning is a voltage indicator, which is used to determine if the voltage is present in a device or wiring. It has limited accuracy and may give positive readings where no house current is present, but levels of harmless static electricity will be present. An electrical tester that will show the presence of both 120-volt and 240-volt electrical current is available when testing for electrical receptacles that may be used for dryers. A combustible gas detector detects small amounts of combustible gasses. Most inspectors will be able to smell the gasses since the most common combustible gasses and natural gas propane have odors that are easy to detect. Carbon monoxide (CO) is a tasteless, odorless, toxic gas produced by appliances such as water heaters, furnaces, and boilers. CO can accumulate in the human body and can become fatal. Excessive levels can be produced when appliances operate inefficiently, need servicing or when they are improperly vented. This device is used to check the temperatures of heating and cooling equipment, registers, hot water, and electrical equipment. An infrared thermometer is also useful to check the temperature of hard-to-reach items. Some inspectors prefer to use telescoping ladders the can be easily carried through homes without bumping and damaging walls. A home inspector must take precautions to ensure wood, tile, and linoleum floors are not damaged by ladders and other equipment that accidentally gets dropped. Protective sheets and tarps should be placed before conducting a home inspection. Even though protective measures are taken, accidents can still happen, and it is up to the inspector to carry towels, moist wipes, and other cleaning fluids in case of an emergency. The tools and equipment used by home inspectors are usually based on personal preference; inspectors must comply with the International Association of Certified Home Inspectors Standards of Practice. Thanks for writing such a great information about moisture meter, Keep sharing more blogs with more updated information.